Some of the earliest English settlers in Hopkinton were Aaron and Susanna Kimball, who came from Massachusetts in 1740. Their son, Abraham, was the first English child actually born in Hopkinton. In 1771, the King of England granted Aaron Kimball some land on Beech Hill. 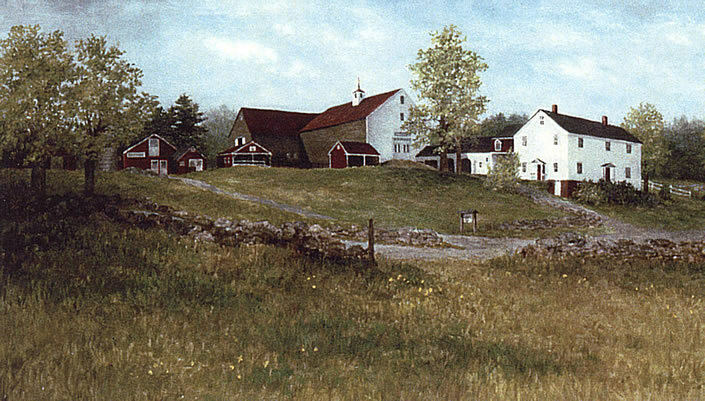 In 1893 Herbert M. Kimball purchased the land and buildings that later became known as Beech Hill Farm. H. M. Kimball imported his first Ayrshire cattle from Scotland in 1896, and was the seventh person in the state to acquire a license to bottle and sell raw milk. The original license number is painted on his beautiful red horse drawn sleigh in the farm stand.The horse drawn sleighs that were used to deliver milk have also been preserved and are on display at Beech Hill Farm, along with many other original artifacts that now fill the Corn Crib and Grain Barn Museum. The Kimball family of today is proud to continue the tradition of excellence and commitment to quality set by our earliest ancestors in Hopkinton. We hope you experience a little of New Hampshire farm history on each of your visits here!